In the town of Hawkins, Indiana, a young boy named Michael Byers goes missing one night. The people in the town and police chief Jim Hopper keep searching for him. 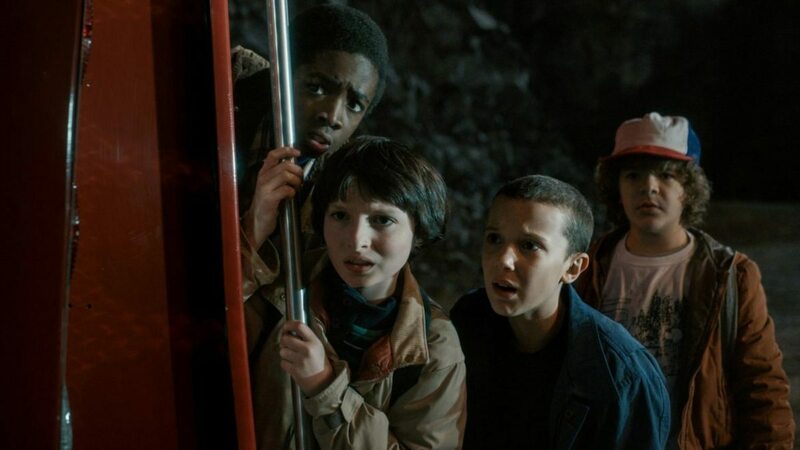 His friends Mike, Dustin, and Lucas go out searching for him, but discover a mysterious girl they end up naming Eleven. 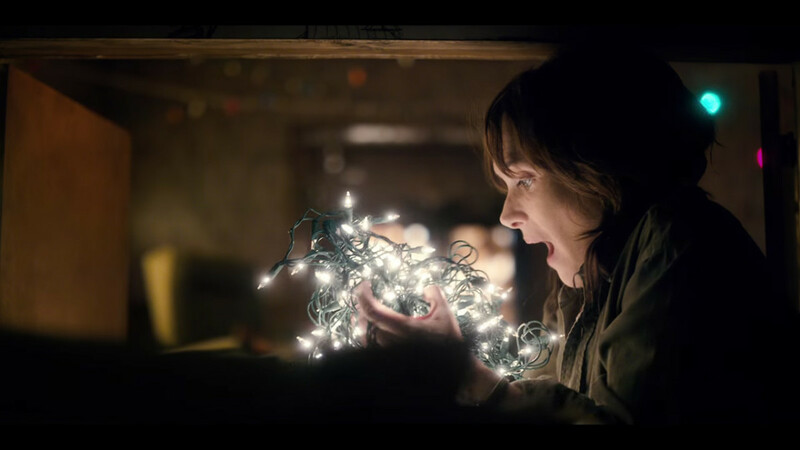 Meanwhile, Michael’s mother, Joyce Byers, feels that her son is trying to communicate with her through the lights in her house, so she tries to find out what happened to him while everyone else thinks she’s crazy. Meanwhile, the Chief Jim Hopper starts investigating the Hawkins National Laboratory and the strange experiments they are conducting. 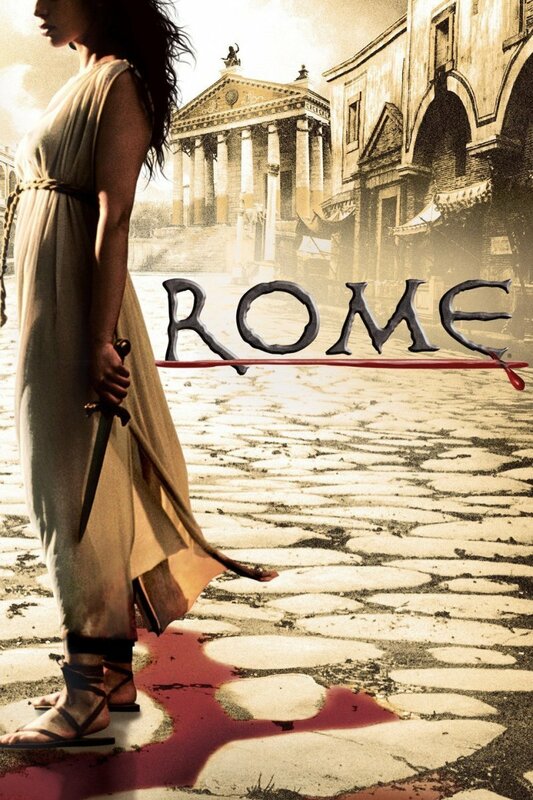 The Story Is Interesting and a Little Scary, but Still Fun! 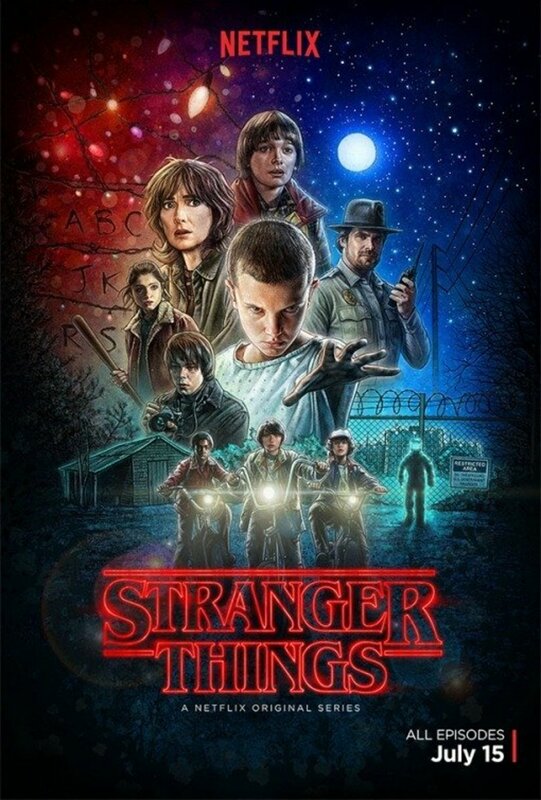 I really enjoyed the story in Stranger Things season 1 and I don’t really like horror or scary things. But it focuses on the creepy and disturbing atmosphere and had jump scares instead of gross-out horror in it. I really enjoyed the characters. They were really interesting and the kids were fun too. They also sounded like normal kids and not kids trying really hard to act for the adults, but I’ll talk about that later. I really enjoyed the story, it was different and interesting and mixed science fiction and horror very well. Both elements are very balanced, it’s not too scary, and it doesn’t have extremely weird science fiction elements. The visual effects for Stranger Things look really good, for the most part. Sometimes the CGI does look weird, but it’s not that bad. The sets are really nice and the visual effects do look really neat. They really got the ’80s aesthetic and did a nice job replicating it. There’s also a lot of references that are really fun for anyone who grew up in the 80s too. I love the actors in this TV show. The actors are great and it’s very hard to say that with child actors because they usually come across as trying to act even though what they’re saying doesn’t sound like things kids would say. Stranger Things has great actors that sound like real kids when they act and the writing is written like how real little kids talk. Finn Wolfhard is great as Michael “Mike” Whieeler. He did a great job. I liked his acting and he played his character very well. He didn’t sound like he was a kid trying really hard, he sounded like a kid being a kid thanks to the good script writing. Noah Schnapp did a great job as William “Will” Byers. He was great and I really enjoyed his performance, he didn’t get to be in the first season as much because of what happened to his character, but he did a great job in this series. I look forward to seeing him in Season 2. Billy Bobbie Brown was great as Eleven. She has a difficult role because Eleven has to develop emotionally as a character and she did a great job portraying that. She also did a great job using her facial expressions to convey emotion. She was great in this role. 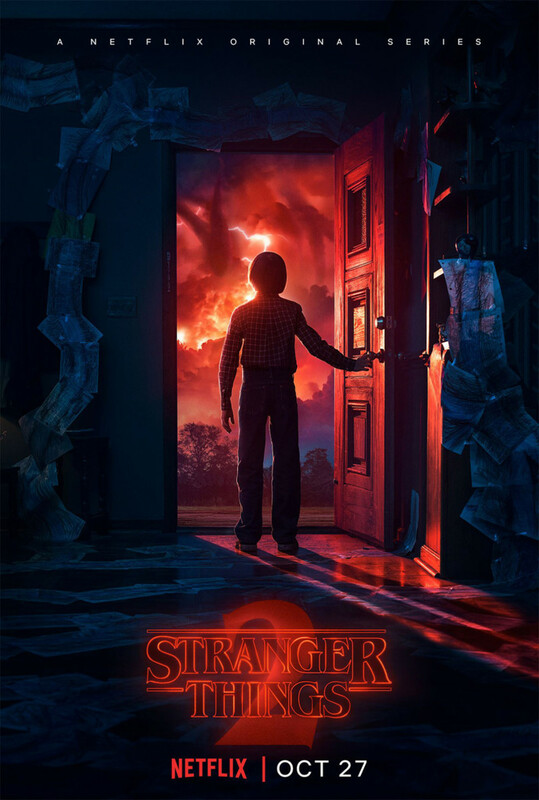 Gaten Matarazzo was great as Dustin Henderson. He was wonderfully adorkable in the series and he did a fantastic job. He was funny and entertaining to watch. Caleb McLaughlin did a great job as Lucas Sinclair. He was an interesting character and his actor was great in the role. I liked his character and he had great chemistry with the other actors. Winona Ryder was great as Joyce Byers. She played the role of Michael’s mother very well and she really sold how emotionally distressed her character was about her son’s disappearance. David Harbour is great as Sheriff Jim Hopper. He gave a great performance and his character was really interesting. I liked his work in this series and I look forward to season 2. The other cast members are great too and you’ll really like the performances. They picked really great actors to play the parts of every character in this story. The soundtrack is really well done. The music fits very well and it’s eerie and moody and has that 80s feel. It fits the mood of the Netflix series very well. It can be happy and cheerful and terrifying and creepy and the music is excellent. They also use a lot of different songs from the 80s too and that makes music fans very happy because it’s songs from that time period. It has both an interesting musical soundtrack and interesting songs from the setting for the story too. Will you watch Stranger Things on Netflix? Yes, I'll stream on Netflix! Stranger Things is pretty fast paced although it starts out kind of slow. 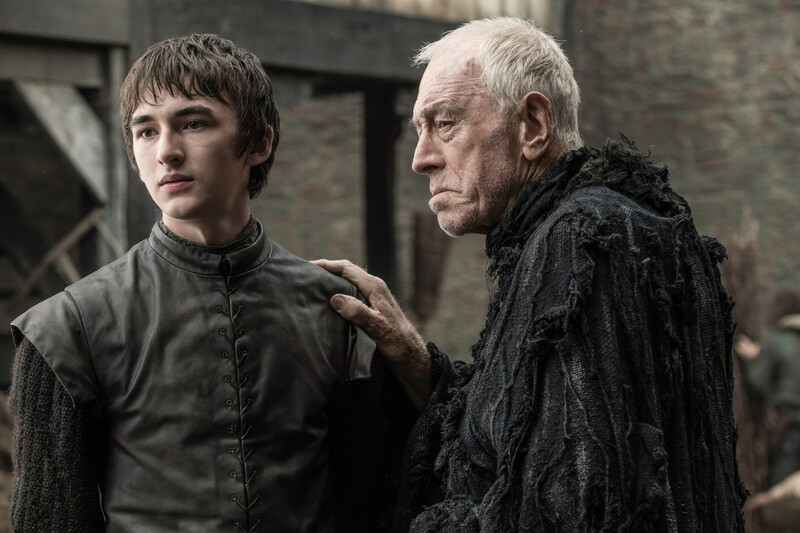 It keeps throwing all sorts of cliffhangers throughout the first season and you will either love it or hate it. I enjoyed it and I thought it was interesting, and I do think that they did their best to keep it exciting, but some people might not like how fast paced the season is. Jump scares are a really cheap scare tactic in horror movies. I don’t like jump scares. They used it quite a bit in Stranger Things and I found it quite annoying. I know it’s a regular trope in horror media, but it’s still an irritating trope. It does lessen throughout the season, but they really rely on it to hide the monster from you. So it is annoying, at least to me. Netflix’s Stranger Things is an excellent show. It’s not one of my favorites or anything but it’s a popular show for a reason. It has an interesting story, mixes horror and science fiction, and has a lot of interesting characters. The visual effects and cinematography are well done. The soundtrack is really good and the series has great acting. It does suffer from being a rather short series and having some fast pacing, but it’s still a really great series. Stranger Things is a fantastic show. But is it worth buying or just streaming on Netflix? For me, it’s not worth adding to my personal collection because I have Netflix streaming, so I can watch it whenever I want. This isn’t like an anime where they touch up animation or audio effects on the physical release, so what I see in Netflix is what is on the blu-ray. Just because I don’t want it for my own collection doesn’t mean that you shouldn’t buy it. If you really want to buy it or you don’t have your own Netflix account, buy it and see if you like it. 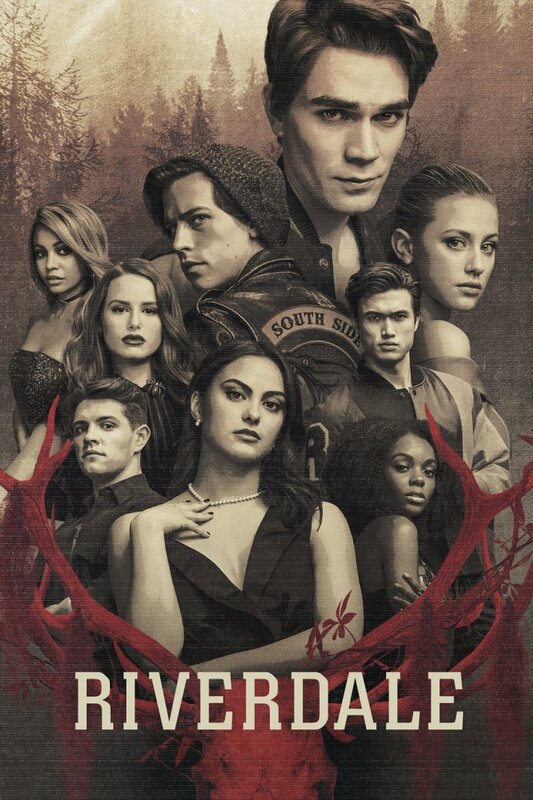 It is worth your time to watch it, it’s a very well done Netflix exclusive that has gained popularity and a second season so you can see what will happen to The Party next. It has a slew of geeky references and a strong influence from horror author Steven King. It wasn’t too scary, but it did creep me out sometimes. I really liked the story and the characters and it was an entertaining series to binge watch. Now Stranger Things is exclusively available at Target, but you can find people reselling it on eBay, but you have to know what the official cover looks like so you don’t buy a bootleg. It’s not too expensive and it’s well worth your time and money to watch it and get it for yourself. 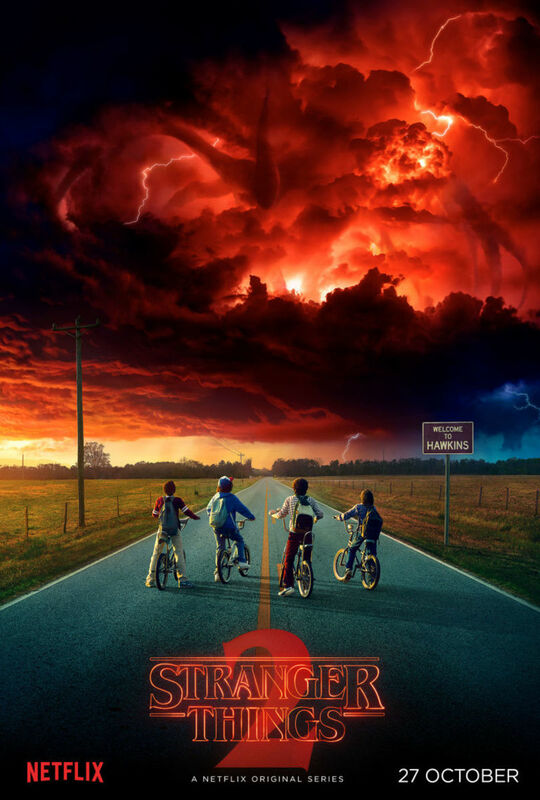 I look forward to finishing Season 2 and seeing what strange things will happen in Hawkins, Indiana. I’ll have my review up very soon.